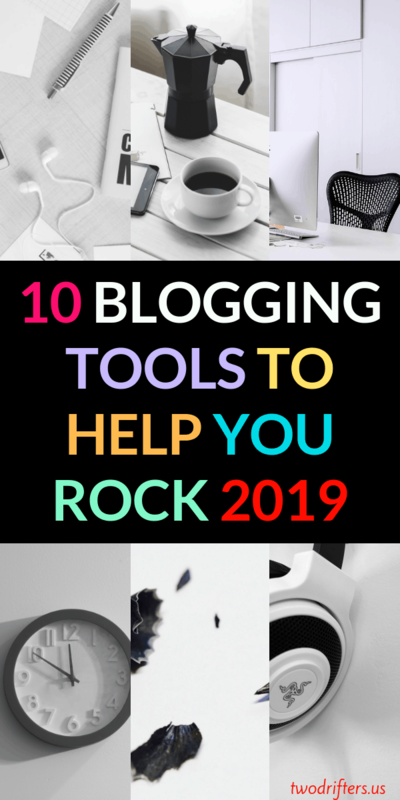 Who’s ready to rock their blog in 2019?! I bet all of us! Are you struggling a bit with Pinterest? For so long, I felt really overwhelmed by all the strategies out there. I had no idea how to create one that would work for me, or to condense the various ideas out there into a workable solution. In October of 2018, I decided to get more serious about Pinterest. The blog was averaging around 11-12k monthly sessions coming from Pinterest, which wasn’t bad, but I’d heard of bloggers receiving thousands and thousands of Pinterest referrals per month. I wanted in on that action. I signed up for an intermediate Pinterest course offered by my friend Lia of Slaying Social. I knew Lia had personally had great results with Pinterest, so I trusted her knowledge, and wanted to know her secrets! The course was 100% worth it. Within just a few months, my Pinterest referrals have increased more than 400%. Yep, that means I’m receiving 70k+ monthly pageviews from Pinterest alone. Needless to say, I am EXTREMELY happy with these results, and I can’t recommend the course enough. If you feel like you’re more of a beginner, or just wish someone would teach you the flat out Pinterest basics in a fun and relatable way, look into the Slaying Pinterest 101 course. One thing I learned from the Slaying Social Pinterest course was that manual pinning is usually the way to grow your traffic to where you want it to be. But when you’re ready to hand over the reins and take some of your free time back, Tailwind is the must-have tool. Tailwind is a Pinterest scheduler that takes care of pinning your pins for you at the perfect intervals. You can also schedule other people’s pins to keep your feed versatile and bring your followers the best content. Although I pin manually a little bit every day, I love how Tailwind has taken over the bulk of my pinning. After an initial learning curve when you first start using Tailwind, it gets easier and easier. At this point, I only have to spend a couple of hours per MONTH setting up my Tailwind pins. Click here to get a free month of Tailwind on us! Tailwind also offers Tribes, which are an excellent way to share your pins with fellow bloggers and pinners who will pin your stuff. Tribes gives us major traction for our pins on Two Drifters, and it’s one of my favorite elements of Tailwind. Does the idea of SEO totally overwhelm you? You’re not alone. Search Engine Optimization can be a baffling concept for many, but it’s actually not so tough once you get the hang of it. And get the hang of it YOU MUST, because focusing on SEO has been the single biggest traffic builder for us here on Two Drifters. More than half of our traffic comes from Google, which means people are searching for terms and then finding answers on our site! Very exciting! 2019 should be the year you master SEO. 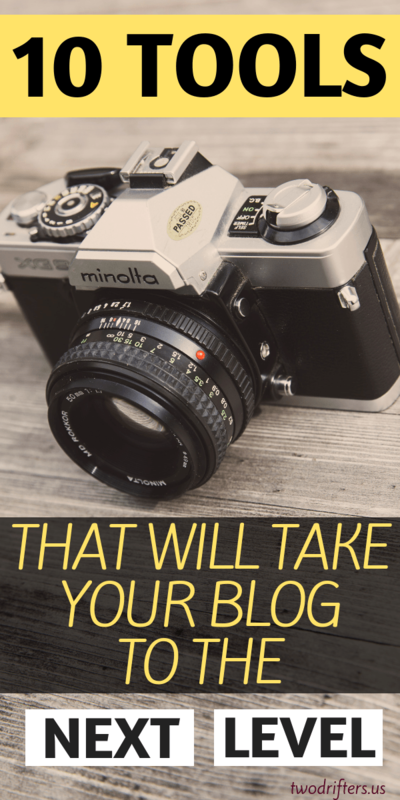 To get started, check out this ebook by my blogger friends Gemma and Laura. Both of them are SEO geniuses, and have helped me learn a lot about the mysteries of these strategies. The ebook is called “SEO: The Easy Way“. Speaking of SEO….one of its most important elements is the KEYWORD. You may have heard of it. It’s basically what your audience is searching for to land on your blog post or web site. With so much great content out there, the Internet can be competitive, but getting found can totally happen if you use the right keywords. The tool that Nathan and I use for finding awesome keywords is called Keysearch. It allows you to check the frequency with which terms are searched, plus see how your site stacks up to your competitors. With a little knowledge of SEO plus Keysearch, you’ll be set. I’m not lying when I say it has revolutionized our blogging this past year. It could revolutionize yours too. Check out Keysearch here for a free trial, and when you decide to purchase, use KSDISC for 20% off. I use Keysearch multiple times per week, and it has helped increase our traffic this year by 96%!! At a little less than $14/month, Keysearch has more than paid for itself. As your traffic starts increasing with SEO/Keysearch/Tailwind and all your other great efforts, you’ll want to be sure you’re accurately tracking your results. This means you need to have a solid grasp of Google Analytics and Google Search Console. These two tools are TREASURE TROVES of information about your site, and when you know what you’re looking at, you can use the data to make smart decisions about your site. Ready to learn? Go straight to the source. Google has its own free course on understanding the basics of Google Analytics. This course could be ideal for a total Google newbie, or a nice refresher for a seasoned blogger. Check out the details here. One thing’s for sure, blogging seems to bring with it an endless to-do list! Some of the best blogging tools I’ve found are those which help me to save time or be more efficient. Buffer is one such tool. This is an app/web-based tool that allows you to schedule posts for Twitter, Facebook, Pinterest, and even Instagram. Now, I haven’t used it for anything aside from Twitter, but that alone has been instrumental in streamlining my days. Basically, I use Buffer to schedule tweets throughout each day. Many of these are of our own Two Drifters posts, but I also share the content of fellow bloggers and travel sites. Buffer makes it super easy to set up a set tweet and let it fly! With the $10/plan, you can schedule up to 100 tweets at a time. I like using this plan. I still have to do the work of scheduling my Tweets, after the initial setup it’s super fast. It’s really easy to click “Rebuffer” and put a Tweet right back in the Queue. Good hosting is a necessity for your blog! The right host can help make your site faster and safer and prevent downtime. In 2018 we switched from a different hosting provider to BigScoots, which came highly recommended. We are extremely happy we made the switch. BigScoots offers great customer service that goes above and beyond. While it’s a bit more expensive than some of the other common hosts you’ll see out there, we can say from experience that it’s more than worth it. It is especially worth switching to a managed host like BigScoots if your blog is beginning to grow. You’re running a business; you need a host that can handle your traffic (including spikes from viral posts) and can help you truly get the most out of your blog. Want a beautiful, readable blog or website? You’ll need an exceptional theme. The best option is to find a theme that enhances user experience and meets the demands of today’s reader. For instance, a mobile-friendly theme is a MUST since a massive percentage of traffic is from mobile users. Read this post for some wisdom on how to pick a great theme. If you’re a blogger, it’s likely making money is one of your goals. And, truth is, it’s totally possible to earn an income as a blogger. Many bloggers are earning a full-time salary from their sites, and plenty more have a nice side income from their blogs. Making money on a blog doesn’t require heaps of traffic. Rather, it requires the right kind of traffic. People who will be your best customers. One of the very best ways to make money via a blog is through affiliate marketing. If you haven’t yet explored the wide world of affiliates, 2019 is your year, baby. I’m sending you to read Sharon Gourlay’s site at Digital Nomad Wannabe. Sharon is a wealth of info on how to make money blogging, including the all-important affiliate marketing. Happy reading and learning! To take your blog to the next level in 2019, the most essential of the essentials is a real business plan! So many bloggers ignore this crucial step, but developing a business plan gives you focus and helps you to truly meet your goals. You need to treat your blog as a business if you want it to be one! And don’t be intimidated by the term “business plan.” All you really need to do is sit down and write out your goals and the strategies you’ll use to get you there. You can also take a look at countless business plan examples across the web. However you approach it, writing it all out sends your desires out into the universe, and helps make your goals become a reality. And to stay organized for those day-to-day tasks in 2018, why not invest in a helpful day planner? Huuuuge Coffee Tumbler to Keep You Going! Last, but certainly not least, we bloggers love our coffee! This year, get yourself a big ‘ol tumbler to keep that liquid gold hot and ready for you. Best of all are coffee mugs and tumblers with inspirational messages to remind you of your awesomeness. Are you going to take your blog to the next level in 2019? Let’s do it! Pin this post to save for later.